G8 work. Y can't you think of making it in large scale with some framework with some configurable features and approach the g8 companies in India. Also think about generating application rather than code, with the functionalities included. 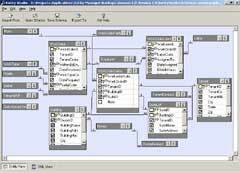 Also you can think of reading the business rules from some business flow diagrams or you can provide some standard modeling language for the same.